Diversity in children's books is firmly in the spotlight - and rightly so. For children growing up in the UK today, it is imperative that the books they read feature characters that not just look and talk like them, but that resonate with them as positive and empowering role models. It is equally important that all children see a realistic reflection of the world around them depicted in their books. But, sadly, we are nowhere near where we should be. Why is this? What are the barriers? And what can we do to improve the situation? As children's publishers, we have a strongly held belief in our responsibility to reflect society and enrich the lives of children through books. We take this responsibility seriously and are constantly evolving to meet the challenge. We know that we have a long road ahead of us to increase not only the quantity of minority characters but also the quality and range of books in which they feature, but we cannot do it alone. To create meaningful and lasting change, we need the support of the entire publishing ecosystem, from the moment pen first hits paper to when a child reaches for the shelf. Let's start with the first stage of creating a book - finding talent. We need more BAME authors of picture books, as well as middle grade and YA. We need to make our industry more accessible to these creators by working with illustration courses to attract a more diverse student body and by promoting illustration in children's books as a potential career. We also need the support of the agent community to help find and nurture talent from demographics that aren't currently represented. The next barrier is commissioning, and this starts with the workforce. The industry has made some headway with encouraging BAME candidates at entry-level, but few have yet made it into commissioning and more senior roles with the purchasing power to accept, encourage and push stories that might not otherwise be considered. We need to change the way we recruit for these roles to make the process more inclusive, at the same time as working hard to retain and nurture existing talent. Working with authors and illustrators is the next step. We want our creators to keep inclusivity at the forefront of their minds when creating their characters and settings. Many picture books feature animals and fantastical creatures, but that doesn't mean we can't have two mummy bears, for example. Authorship, of course, needs to be authentic without being tokenistic, and we are committed to finding the balance between author freedom and ensuring that we are providing the necessary representation. Having made it through the commissioning and acquisition process, the books are published, and we now need to get them into the hands of consumers. This is where commitment from the retail community is vital. The books need to be on shelves in supermarkets, bookshops, in traditional and non-traditional environments. We are striving for mainstream, integrated, inclusive publishing and bookselling. This in turn will affect the commissioning process. Evidently, publishing is a business, and building the commercial case for an acquisition is essential for any book. Interest and commitment from supermarkets and high street retailers will make or break that acquisition. We need buy-in from the retail community to promote new talent from BAME backgrounds, and books with protagonists who are representative of the modern family. Without that retail commitment, these books won't make it out into the world and into the hands of the children who need them and families who want to buy them. At every stage of the process, there are shining examples of success. The non-profit organisation Pop Up Projects, with its Pathways project, is helping illustrators from diverse backgrounds start their careers; Faber Children's has teamed up with the Andlyn Agency to celebrate undiscovered talent with the annual FAB prize for BAME writers and illustrators; indie publisher Knights Of recently crowd-funded the #ReadTheOnePercent Bookshop; and Letterbox Library is supplying multicultural books to schools and early years settings. But these are exceptions to the norm, and there is a great deal more to be done before inclusion permeates the supply chain. Children's publishers know this and are committed to the challenge of making changes to our sector and to the publishing industry as a whole. In education, publishers have made real, tangible changes, and behind the scenes children's publishers are putting a great deal of resource into tackling the lack of representation. Publishers accept the responsibility for publishing more inclusive books to provide a sustainable future for our industry, and we call upon retailers large and small, libraries, agents, book reviewers and festival organisers to join us in putting real effort into lasting change and achieving our goal of inclusive publishing for all. 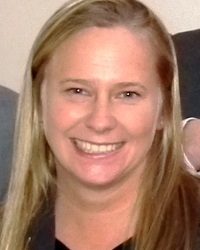 Emma House is deputy CEO of the Publishers Association. This article was commissioned for the Publishers Weekly/BookBrunch London Book Fair Show Daily.